Premier Financial Group, Inc. was founded in 1988 by Brian H. Grant, CLU, ChFC, MSFS, CFP. Capmark Finance Inc. provides commercial mortgage banking and real estate lending services in the United States. It operates as a correspondent for insurance companies, pension funds, and capital market conduits. The company was formerly known as GMAC Commercial Mortgage Corporation and changed its name to Capmark Finance Inc. in 2006. The company was founded in 1994 and is based in Horsham, Pennsylvania. Capmark Finance Inc. operates as a subsidiary of Bluestem Group Inc.
Signpath Pharma is a clinical stage biotechnology company developing products to treat cancer and mitigate drug-induced cardiac side effects. Ascensus, LLC., founded in 1975 and based in Dresher, Pennsylvania, is the nation's largest independent retirement and college savings services provider, with more than $163 billion in assets under administration. First Commonwealth Financial Corporation is a financial services company based in Indiana, Pennsylvania, primarily serving the Western and Central Pennsylvania as well as Canton and Columbus, Ohio. Advanced Call Center Technologies, LLC provides contact center and back office support services to companies in the United States. It offers sales services, such as exceptional sales support, cross-selling and upselling, customer courtesy, and business-to-business and commercial services; customer services, which include multi-channel, relationship management, and account services; fraud and dispute management services, including fraud investigation, customer relationship, dispute resolution, and transaction verification services; and back office support services, which include document and order management, process automation, credit bureau reporting and disputes, and interactive voice response systems. The company provides services in various languages, including English, Spanish, Mandarin, Cantonese, Punjabi, Vietnamese, Armenian, and Tagalog. It serves financial services, government, technology, mortgage, retail, healthcare, utilities, communications, and travel and hospitality industries. The company was incorporated in 1996 and is based in Berwyn, Pennsylvania. Advanced Call Center Technologies, LLC operates as a subsidiary of Acct Holdings Llc. National Penn Bancshares, Inc. operates as the bank holding company for National Penn Bank that provides commercial and consumer banking products and services to residents and businesses primarily in eastern and central Pennsylvania. Its deposit products include demand, NOW, money market, other checking and savings accounts, and certificates of deposit. The company also offers consumer loan products, including installment loans, home equity loans, residential mortgage loans, educational loans, and credit cards; commercial loans comprising short-term loans for seasonal and working capital purposes, term loans secured by real estate and other assets, loans for construction and expansion needs, and revolving credit facilities; and commercial real estate lending services consisting of loans to developers of residential and commercial projects. In addition, it provides cash management services, such as remote deposit capture, disbursement, collection, investment, and electronic banking services; safe deposit and night depository facilities; and Internet banking services comprising online bill paying and mobile banking, as well as owns and operates 134 automated teller machines. Further, the company offers investment management and fiduciary services to individuals, corporations, government entities, and non-profit institutions; securities brokerage services; property and casualty insurance services for individuals and businesses; employee benefits consulting services; and private banking services. As of December 31, 2015, it operated through 124 retail branch offices throughout Pennsylvania, New Jersey, and Maryland. National Penn Bancshares, Inc. was founded in 1874 and is headquartered in Allentown, Pennsylvania. As of April 1, 2016, National Penn Bancshares Inc. operates as a subsidiary of BB&T Corporation. Scranton is the sixth-largest city in the Commonwealth of Pennsylvania. Are you in need of a heating or cooling service? No need to worry, Comfort Pro is here for all of your HVAC or furnace needs. Call us today to schedule! Bryn Mawr Bank Corporation operates as the bank holding company for The Bryn Mawr Trust Company that provides commercial and retail banking services to individuals and businesses. It accepts deposit products, such as non-interest-bearing demand deposits, savings, NOW accounts, and market rate accounts. The company s loan and lease portfolio comprises commercial and residential mortgage construction, commercial and industrial, and consumer loans, as well as home equity lines and loans; and leasing services. It also offers wealth management services, including trust administration and other related fiduciary, custody, investment management and advisory services, employee benefit account and IRA administration, estate settlement, tax, financial planning, and brokerage services. In addition, the company provides insurance and related products and services consisting of casualty, property, and allied insurance lines, as well as life insurance, annuities, medical insurance, and accident and health insurance for groups and individuals. Further, it offers small-ticket equipment financing services. As of December 31, 2016, the company owned or leased 25 full-service branches, 8 retirement limited-hour community offices, 1 limited-service branch, and 5 wealth management offices located in Montgomery, Delaware, Chester, Philadelphia, and Dauphin counties in Pennsylvania; and New Castle county in Delaware. Bryn Mawr Bank Corporation was founded in 1889 and is headquartered in Bryn Mawr, Pennsylvania. CPS/Keystone is a promotional products supplier who exclusively sells to promotional product distributors. Shrink sleeve supplier Gilbreth is an industry leader in printing custom shrink sleeve labels with the expertise to drive increased sales and brand awareness. West Point Products, LLC manufactures and supplies replacement laser toner cartridges. It also provides Axess managed print services; printer parts, including maintenance kits and fusers; MICR solutions for HP, Lexmark, and IBM printers; AgriTone bio-based replacement cartridges; replacement ribbons; postage meter supplies; and refurbished printers. The company also provides custom on-line recycling and collection programs for empty toner cartridges, ink cartridges, and small electronics. Its products and services are sold to the reseller community. West Point Products, LLC was founded in 1972 and is based in Washington, Pennsylvania with distribution centers in Pennsylvania, Florida, Texas, Colorado, and California, as well as in Ontario and Alberta, Canada. It has manufacturing facilities in the United States and Candia. The Mario Lemieux Foundation's ultimate goal is a cure for cancer. Our commitment is to blood cancer research and patient care. Donate today & change a life. LoanLogics' regtech software validates compliance, improves loan quality and manages risk during the manufacture and acquisition of loan assets. With 37+ years' experience in new home warranties and over 3 million homes warranted, RWC is your best choice for a new home warranty provider. Motivated by Christian faith, COBYS Family Services educates, supports and empowers children and adults to reach their full potential. Commercial National Financial Corporation is a registered financial holding company under the Bank Holding Company Act of 1956 as amended. The company wholly owns Commercial Bank & Trust of PA under the Bank Holding Company Act. The company's principal business is the operation of Commercial Bank & Trust of PA, which offers various commercial banking and trust services including offering deposit services, providing financial counseling, investing and extending credit. Commercial National Financial Corporation uses CNAF as the trading symbol on the OTCQB tier of the OTC Markets. Royal Bancshares of Pennsylvania, Inc. operates as the bank holding company for Royal Bank America that provides a range of financial and banking products and services primarily in the Mid-Atlantic states. The company accepts various deposit products, such as demand deposits, money market deposits, savings and NOW accounts, and time deposits. It also offers loan products, including commercial demand loans, commercial mortgages, residential mortgages, consumer loans, construction loans, tax lien certificates, small business leases, and installment loans. In addition, the company provides cash management products and mobile deposits, as well as remote deposit capture, and payroll and merchant services; and buys, holds, and sells investment securities. It serves small and middle market businesses, commercial real estate investors, consumers, and depositors principally in Montgomery, Delaware, Chester, Bucks, Philadelphia, and Berks counties in Pennsylvania, central and southern New Jersey, and Delaware. As of January 31, 2017, it operated a network of 13 branches and 2 loan production offices. The company was founded in 1963 and is headquartered in Bala Cynwyd, Pennsylvania. Public Interest Communications is hiring! Malvern Bancorp, Inc. operates as the holding company for Malvern Federal Savings Bank that provides various banking products and services to consumer and business customers in Pennsylvania. The company offers checking accounts, retirement accounts, money market accounts, time and savings accounts, interest and non-interest bearing accounts, NOW accounts, and CDARS/ICS reciprocal deposits; and debit and credit card, wire transfer, automated teller, Internet banking, ACH origination, safe deposit box, telephone banking, and mobile banking services. It also provides residential mortgage loans, such as one class and one-to four-family first lien residential mortgage loans; residential and commercial construction loans, and land loans; commercial loans, including commercial real estate loans, multi-family real estate loans, industrial loans, and commercial business loans; and consumer loans, such as home equity lines of credit, second mortgage loans, and unsecured consumer lines of credit. In addition, the company offers liquidity management, investment, custody, wealth planning, trust and fiduciary, insurance, and 401k services to high net worth individuals and families. Further, it provides remote deposit capture banking for business customers; and mobile remote deposit capture banking for retail and business customers. 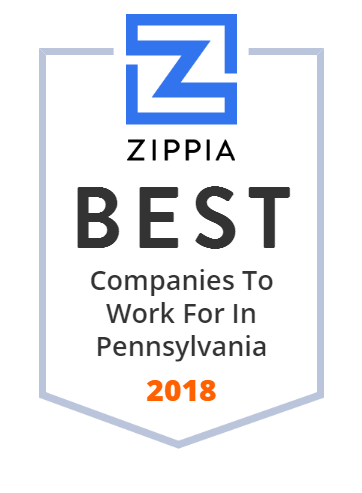 The company operates eight financial center offices in Chester and Delaware Counties, Pennsylvania, as well as a private banking loan production office in Morristown, New Jersey. Malvern Bancorp, Inc. was founded in 1887 and is headquartered in Paoli, Pennsylvania. Dollar Bank is a full-service regional bank serving both individuals and business customers, operating more than 60 offices throughout the southwestern Pennsylvania and northeast Ohio metropolitan areas. CJS Violations Specializes in Keeping Your Drivers On the Road & Out of Court by Offering NYC Traffic Violation, Ticket and Fine Reduction Services. Click Here to Request Info! Innovative solutions to all of your industrial cleaning needs. With specialized equipment and more than 35 years of knowledge and experience, GAP is the one company that can handle all of your iindustrial cleaning needs.